We want to leave the world in a better place than where we found it. resources help us transform our vision into a physical reality. Rest assured, 100% of your donation will go towards its designated cause and will be used to create real effective change in those areas of the world. Illuminate Nations is our ministry, not our job. We all contribute our own financial resources and rely on donations for day to day costs. If you feel called to donate to our general fund for operations or towards a specific project or need, this is the place to do it! Our partners in India have cared for over twenty children in the past two years of running Lighthouse Children’s Home. The children they adopt into the home came from lives of begging, desperation, and extreme poverty. Let's rejoice that they all now have a caring family and the knowledge of a heavenly Father who loves them! Having grown up in a orphanage, our friend in Kathmandu has a huge heart for children who have been orphaned, rejected, or outcast. That is why she has made it her life work to take in any children who have need of a loving family and a safe home. We want to help her achieve her vision and transform Nepal! The Refugee Children's Home provides care, love and education for five very special little boys. They are a part of a people group who have been living in refugee camps for the last three generations. They will be among the few who receive an education and have the opportunity to raise families of their own outside of the camps. These special five have the chance to break the cycle of poverty and illiteracy for their people. There is a group of twelve amazing children living in Mercy Children's Home that are way too good at soccer and beat us every year we go to visit them. 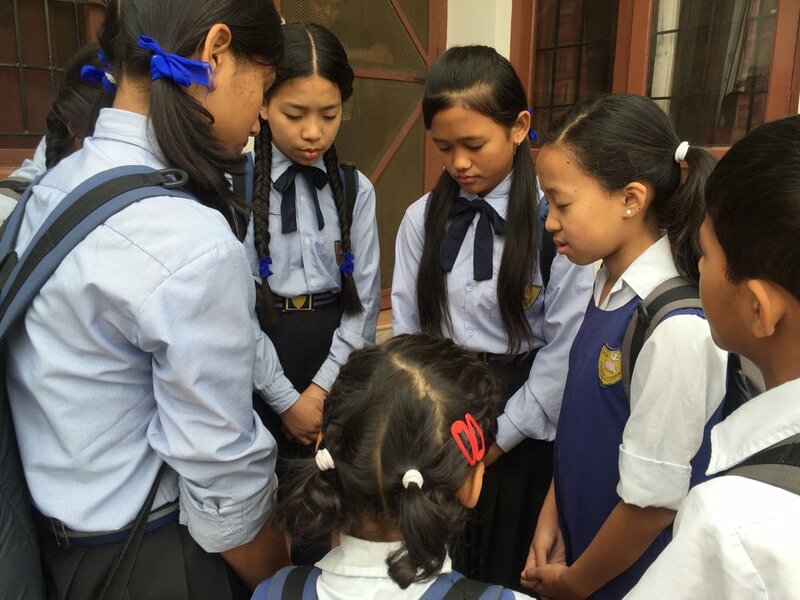 Our friends in Nepal began to take these children in from destitute and dangerous situation several years ago. They now have any opportunity to go to school and have a loving family. Our staff do not get paid - they must raise support to continue working full-time making a change in the nations. None of this is possible without your faithful donations. To support a specific staff member, please click "donate" under their name.